Working on a skill is a process. Life’s a journey not a destination. Things worth having don’t happen overnight. Hard work always pays off. Patience is a virtue. Good things come to those who work hard and wait. Should I keep the banalities coming? There are so many, because it’s true; you can have all the talent in the world but when it comes to working on a new skill, like a straddle press to Handstand for instance, it will still take hard work to perfect it. 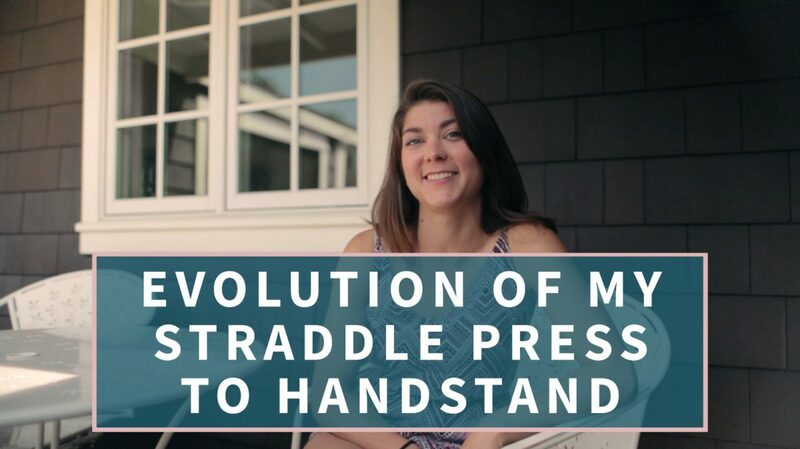 In the video below, our friend Soundschi over at Handstand Diary discusses her own journey towards a Handstand press. She’s not afraid to admit that it took a lot of practice, failed attempts, and a-ha moments to get her Handstand press to a somewhat consistent place. And she’s still working on it! Consistency – isn’t this a challenge for us all? Understanding the lean – lots of technical work here. Putting all the skills and learning together – when a move takes more than one skill to master, our brain takes some time to connect the dots. When learning a new skill, long breaks can set you back, so take short effective ones. Despite a popular belief, achieving a handstand press does not only require mobility training; it also takes shoulder and upper back strength as well as shoulder and ribcage positioning. It is super helpful to work with a partner when trying to put all the new skills you’ve been practicing together. Human support is always great! This is such a great and supportive video for anyone working on a new skill, especially when it comes to all things Handstand. To support Soundschi with a shoutout or question, please go to her YouTube feed or head over to handstanddiary.com and reach out to her directly. Stay tuned for more Handstand knowledge and inspiration from me and Kyle coming up soon!